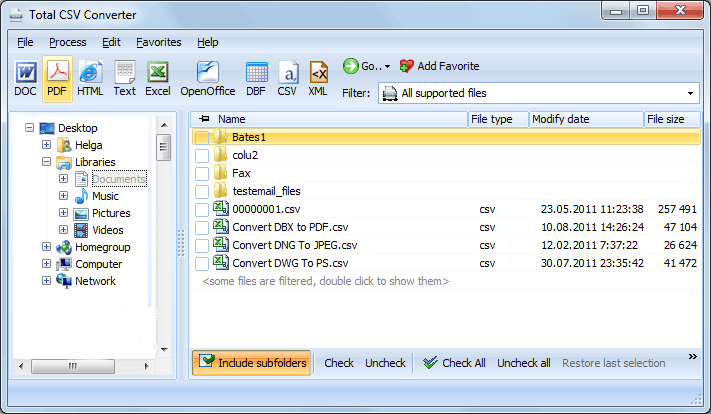 CSV files can be converted to TXT by many converting tools. 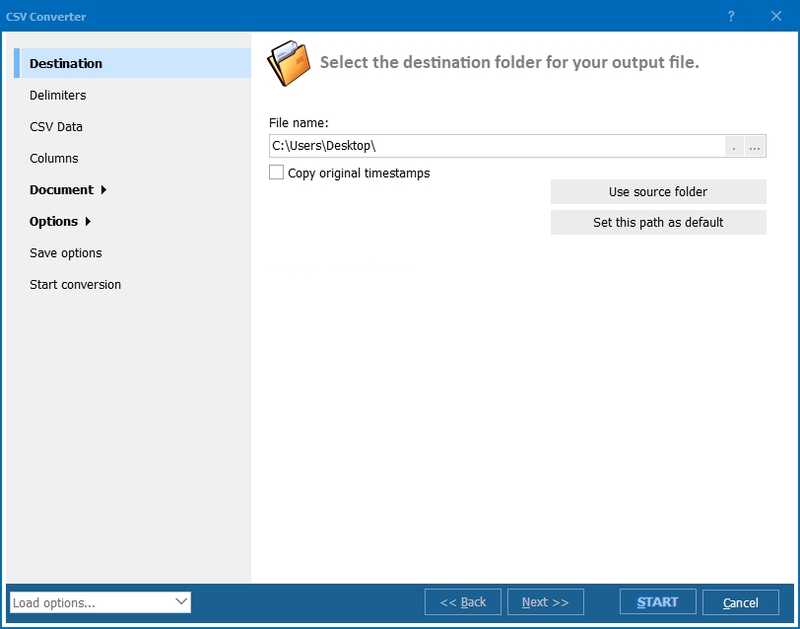 This task becomes more complicated, when you need to combine several CSV files into one text file, and this can be done only in Total CSV Converter. It is highly quick, as both combining and conversion is done together. Moreover, original files stay unchanged, but you can modify the output formatting according to your needs. TXT format doesn't imply any settings for text style, as it stores information without styling attributes. However, when you merge CSV and convert to TXT, it is highly important to adjust data formats for every item of original information. This way you get fully customizable CSV TXT converter with multiple useful options. You can set only required parameters leaving the rest unchanged. All the settings you make will be used for all sources in batch. The files for conversion are selected in the first step, before choosing the target format. You can select as many originals, as you want, and the program will merge CSV into text file. After selecting the sources and TXT as the target format, you will see a settings manager on the screen. 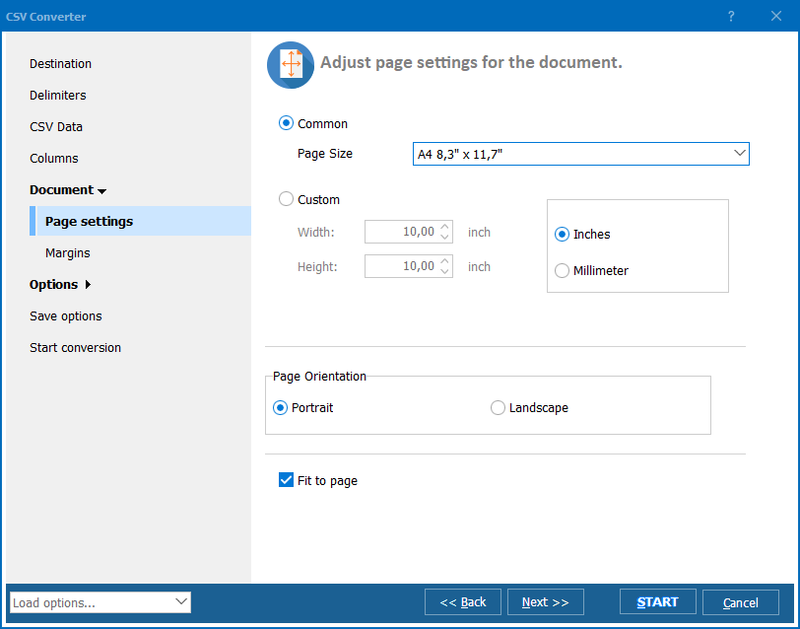 There all formatting parameters can be specified. If you regularly deal with such conversions, you will find it useful to save chosen settings into a file with ability to load that configuration for next conversion. You will be able to combine CSV to text with preset parameters, loaded into the program from a bat file. Also you can convert CSV data from the command line. 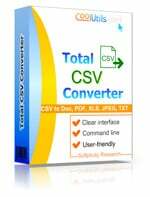 Total CSV Converter in up-to-date version is available here. You can use a free demo version to get familiar with its features.